Congratulations to our Clients U-Lace, Jill-e Designs and May Designs for their feature in Texas Lifestyle Magazine. Send your kids off to school in style with U-Laces, a stylish and fun way to customize shoes. U-Laces come in a wide assortment of styles and can tie shoes in any pattern or fashion you prefer. U-Laces secure sneakers to the foot without having to tie any laces, making every sneaker a slip-on. This is a perfect accessory for your little ones who might have trouble keeping their shoes on their feet or havenâ€™t learned how to tie their shoes yet. Check them out at u-lace.com! 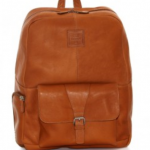 FromÂ Jill-E Designs comes The JACK Hemingway, the perfect backpack for any college student. Made from genuine Columbian leather with a nylon back and bottom, the Hemingway is a fit for the stylish student. The inside has pockets for just about anything: pens, smartphone, notebooks, laptop and more, while the outside is decorated with your choice of tan or dark brown leather. Never forget a homework assignment again withÂ May Designs notebooks. 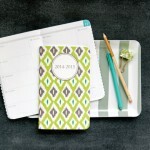 May Designs offers completely customizable academic calendars, lined notebooks, weekly agendas and much more. May Designs has created a wide variety of trendy patterns and customizable name plates that can display your initials, full name, or any other personalization you may want.